Because — the benefits of learning don’t stop after school. Humans are on a constant journey of learning. So that we can perform at work, so that we can navigate social situations, and so that we can have healthy relationships. The people who are the best at learning are those who love to learn. And since learning starts when we’re children, there’s no better time to foster a love of learning than childhood. 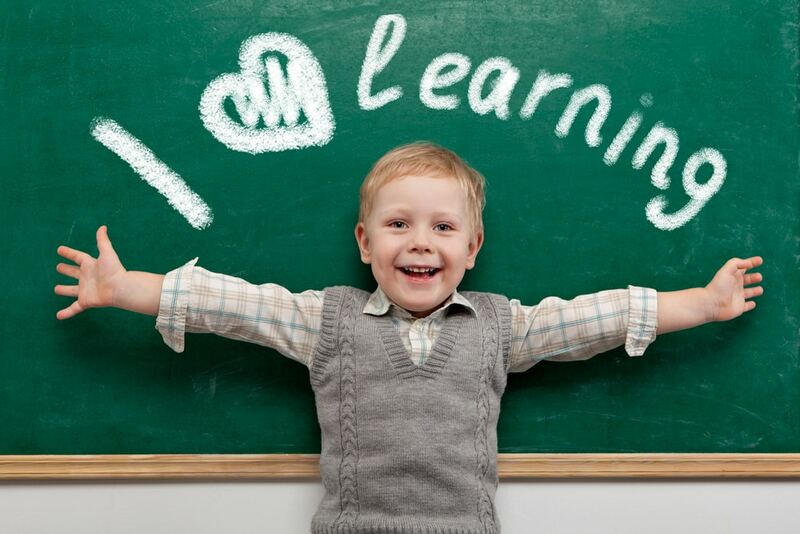 How can we help kids to love learning? It’s not as hard as you may think. Simple changes to your routine can help to foster a love of learning in your family. 1. Help them to engage. Education experts are blaming underperformance in Australian schools on a chronic ‘lack of engagement’. Parents can help to work on this lack of engagement at home. Ask your kids what they learnt at school today. In doing so, helping them to be proud of their newfound knowledge. Some kids will simply relish in the opportunity to teach their parents something! So being interested, curious and asking lots of questions can really help. It will also encourage them to think more critically about the materials they’re learning in school, and to learn more in the process. Your questions, and their answers, will obviously need to be age-appropriate — but don’t underestimate them. You’ll find that their ability to answer them, and be excited about doing so, will often exceed your expectations! 2. Identify any barriers to learning — early — and work on overcoming them. It’s very hard to love something when you struggle with it (not to be confused with being challenged by it). Be on the lookout for symptoms and signs of things that could impact your child’s ability to learn at school, and as an inevitable result, their enjoyment of learning. These could be social issues, emotional issues such as anxiety, or potential learning disorders. Although teachers are on the lookout for these issues, kids are very good at overcompensating. Talk to your kids in a comfortable, safe environment. Look out for any suggestions of avoidance or stress about a particular subject or activity. And consider a learning assessment to find out exactly where the cracks may be. What was your favourite part of school today and why? What was your least favourite par and why? What was the hardest thing you did today, and why? Have a look at your child’s curriculum, homework or text books. You’ll find so many examples, however small, of ideas and information that you can incorporate into activities they enjoy. For young kids, it can be as simple as making counting games with their toys, or getting them to try to spell words from their favourite books. And encourage them to pursue them. Both in school, and out of school. Their enjoyment of their studies, and the love of learning that will come with it, will yield much more significant (and long-lasting) benefits. Teenagers in particular can get frustrated by what they think is having to learn ‘useless’ or ‘irrelevant’ information. That’s because every act of learning helps us to learn in the future. On a very general level, school work involves inherent ‘problem solving’. And one they will be tested on throughout their lives. Conquering the art of problem-solving takes practice, and school is the best time for it. More specifically, work on relating your kid’s studies at school to ways it will benefit them in the future. Or History and Languages to give a context and skills for their future travels. 5. Focus on the process, not the result. Students are under increasing pressure to get good marks. But this pressure can actually impede their ability to perform well. And it takes the inherent ‘fun’ out of learning. Remind your kids that being able spend their youth learning is a privilege. And the knowledge they will gain will be ongoingly beneficial to them, while the impact of their marks will (relatively) quickly disappear. This is a form of the ‘Fixed versus Growth’ mindset, and not only encourages a love of learning, it also helps kids to become more motivated and ultimately successful. 6. Take the pressure off! Believe it or not, kids put enough pressure on themselves. And, they (mostly) are desperately seeking their parents approval. Punishing them or giving them hard time for their poor results is going to make them dread the learning process. Offer support — both emotionally, and academically. Let them be open about their disappointments without fear of your judgment. And talk with them, listen to them, and collaborate together to find ways that can help they improve, and to enjoy school. 7. And finally — as always — lead by example. Show them how much you do, too! Even better, create a family environment that promotes learning. Read all kinds of books to and with young children. Discuss news stories and current events with your teenagers. These simple steps can help to make school what it should be for our kids — a happy, safe space, where they can learn about the world, themselves, and discover who and what they want to be. And if you are in Melbourne and would like some some extra help with this issue? Click the button below to book your initial parent consultation and get the right advice for your child’s needs.